China has been on my mind lately: incresingly after I’ve discovered a what one might call a testing ground for capitalism — Hong Kong — the relative freedom of which is supported largely because of the opportunity to learn and experiment with the capital markets, I’ve been amazed by the might of capital raised to move mountains, turn rivers, pour concrete to produce 6-lane roads and use steel to build the largest high-speed rail network in the world. Lately from Beijing where I’ve had the chance to speak at the Asian Banker Future of Finance Summit, marvelling at the man-made creations and the collective buzz of the entrepreneurial energy built on Confucius, Mao and Deng rites, I’ve decided to make a small selection of books I’ve devoured on planes while getting prepared for the visit — and ones I am still in the process of going through. Echoing many published notions of what China looks like for a foreigner — and my personal one upon visiting: “Coming to Shenzhen is like visiting the future. But it’s this crazy Blade Runner-esque future”. Though the Pearl River Delta region accounts for less than 1 percent of China’s territory and 5 percent of its population, it generates more than a tenth of its GDP and a quarter of its exports. It soaks up a fifth of China’s total foreign direct investment and has attracted over a trillion dollars in foreign direct investments since 1980. 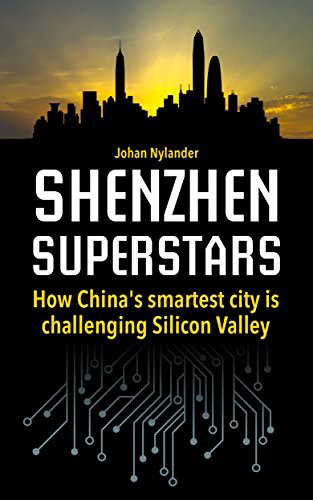 Shenzhen is at the heart of what the Economist calls “the Silicon Delta”. Shenzhen is at the heart of Greater Bay Area, a government-initiated “super economic zone” weaving Hong Kong, Macau and other cities in Guangdong — the aim is to create a world-class technology hub based on increased cooperation in the region. Think Hong Kong’s finance + Shenzhen’s innovation + Guangdong’s manufacturing. Shenzen has it its DNA a knack for assempling things and rethinking the componental structure of major electronic appliances, so it gives ample opportunity for hobbyists to buy necessary components to build fake working iPhones with 2 SIM slots and features not possible on original devices. This hacker culture is also ingrained in the opportunistic way that now major OEMs design their devices — the latest models from both Huawei and Lenovo are no different from iPhone X. The opportunity to tinker and reingineer appliances and the ability to simplify the cost structure makes it a hobby for children even to make mistakes with software and hardware: the root canal for future engineering greatness, someting that Germany has achieved with its mentorship programs, underpinning engineering prowess of the major giants (and so China is becoming a major destination for machinery, with certain companies like Siemens opening up innovation labs in Shenzen). The engineering might is sensed in the area: according to some estimates, about 20 per cent of all Chinese PhDs live in the area. It’s often said that Shenzhen has no past, so can only look ahead. Rem Koolhaas, a Dutch architect who teaches at Harvard, called it the ultimate “generic city”, a place without legacy that can swiftly adapt and grow with the times. No wonder it’s nick-named China’s original “instant city”.